Boston, MA September 25, 2018- PaxeraHealth announced that 2,500 sites are now using their PACS worldwide. The Boston-based PACS and enterprise imaging vendor reached that milestone in late July and continues to expand their installed PACS base at an astounding year over year growth rate of 34%, nearly five times the industry average. PaxeraHealth’s phenomenal growth can be attributed to having one of the largest dealer and distributor networks in the industry. The company has 67 dealers worldwide, 33 in the United States, and 34 throughout the rest of the world. These dealer relationships, combined with a high quality product, aggressive pricing, and world-class support have allowed the company to enjoy a 98% customer retention rate. “Over the past ten years PaxeraHealth has continued to enhance and expand our imaging product line to meet the growing needs of our end-users and respond to industry changes.” said Dr Mohamed Shoura, Founder and CEO of PaxeraHealth.“This growth has expanded to the point where we now offer a complete Enterprise Imaging System (EIS), including a VNA. These EIS offerings are being implemented in several larger facilities and luminary sites worldwide. Several of the components of our EIS, including image sharing and zero-footprint viewers, also integrate well with existing PACS being used by our long standing customers. These low cost upgrades have helped preserve the investments made in our system while providing added value to the end user and their customers.” Dr Shoura concluded. 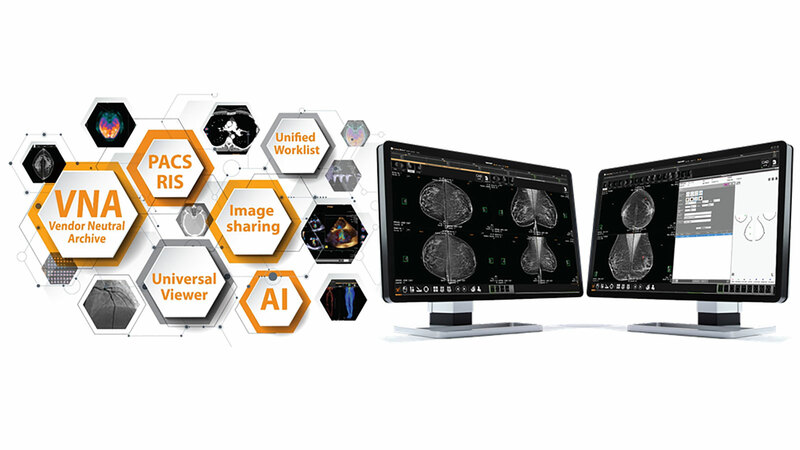 “The real strength of our Enterprise Imaging System is that it can be purchased and deployed in modular components”, according to Paul Dandrow, EVP & CTO of PaxeraHealth. “If you just need to add image sharing to your existing systems, you can purchase just that component and integrate it. If you need to add a VNA, you can purchase that and integrate it into your existing workflow. When taken as a whole, our enterprise imaging system is extremely powerful, however significant value can be achieved simply by adding one or two of the components to your current infrastructure. When combined with our aggressive pricing that allows systems to be implemented with little to no impact to the current imaging budget, our imaging components can improve workflow today and allow facilities to enjoy the benefits of the system now without having to wait for another budget cycle” added Dandrow. PaxeraHealth recently installed two sites that employ components of the company’s Enterprise Imaging System. The first, in South Africa, is a comprehensive enterprise system using our VNA as the underlying platform. This installation, currently being set up for 40 sites, will eventually grow to more than 350 imaging sites. The second, in Florida, is a PACS-based system with modular components, supporting 3 hospitals and 25 locations. PaxeraHealth’s product line includes PaxeraUltima360, a fully integrated enterprise imaging platform that provides a full-featured PACS, VNA, image sharing and workflow manager., Paxera Ultima, a web –based medical viewer that offers access to various clinical data using a single login; and CareRad which delivers medical images and reports to patients via an app. PaxeraHealth also offers a Patient Engagement product known as CarePassport, an app that works with the patient from appointment scheduling through results from all data sources. Further information on PaxeraHealth and its products can be obtained by contacting PaxeraHealth at (888) 430-0005 or by visiting the PaxeraHealth web site at www.paxerahealth.com. PaxeraHealth Corp™ is a world-class medical imaging solutions developer based in Boston, MA. The company has as its top priority leveraging leading edge technology that develop into next generation medical imaging solutions, including Enterprise Imaging Systems and VNAs. These systems are designed to automate clients’ workflow, elevate patient care, and cut departmental imaging costs.